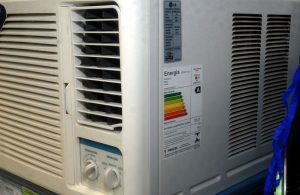 After January 1st 2015 “the use of recycled HCFC’s will be prohibited in the maintenance and servicing of refrigeration and air conditioning equipment existing at that date” (www.r22-legislation.co.uk, 2014). Why is this legislation being brought in? Because of the environmental damage that the use of R22s cause, specifically ozone depletion potential that creates excessive UV levels. There are alternative refrigerant gasses that can be used to do the same job that do not deplete the ozone layer, such as ammonia and R404A. Moreover these are more energy efficient, so in the long run using these, rather than R22, will save people money. Hydrofluorocarbons (HCFCs) are a combination of hydrogen, chlorine, fluorine and carbon, although less damaging to the atmosphere than chlorofluorocarbons (CFCs) this group of refrigerants are still considered a greenhouse gas because of their ozone depletion potential. HCFCs are the refrigerant gas found in most air conditioning units that are 10 or more years old. This matters because with a diminished ozone layer all humans are excessively exposed to UV radiation which can cause skin cancer, cataracts and general poor health. Furthermore, increased UV rays can harm crops, so there will be less crop yield and then the cost food will increase. All landlords will need to replace any R22 air conditioning systems, depending on the contract with the tenant, the tenant may contribute to this replacement. What is certainly important is to have a plan, and to be prepared for the change-over. How does this affect tenants? Tenants need to know if they are liable for any charges/expenses, and know that the system will be being changed as soon as possible. If you are planning on moving between now and January 1st 2015 be aware of the R22 issue when viewing potential places of residence. You can read about air conditioning inspections (ACIs) on our page at: Air Conditioning Inspection to book or to get a quote for an ACI please call or email at the contact details below. Syntegra Consulting is a leading energy consulting company in the UK – for further information regarding air conditioning inspections, zero carbon buildings, energy efficiency and renewable energy investments, please telephone +44(0)1184028520 or e-mail: mail@syntegra-epc.co.uk. Next Post Energy Efficiency in SME Office Buildings: practising what we preach!